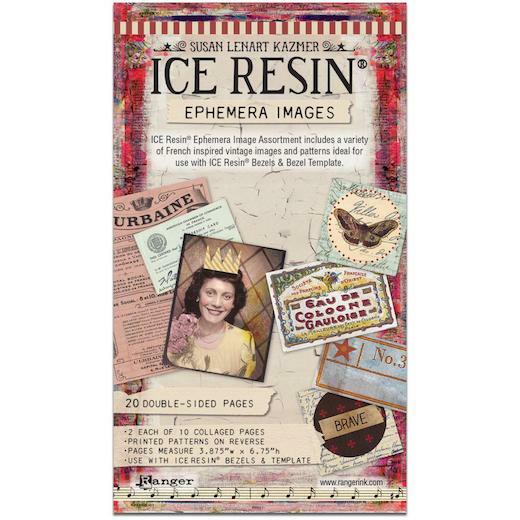 ICE Resin Ephemera Image Assortment is an assortment of unique papers that add a bit of French inspired imagery and patterns to mixed media, jewellery and paper crafting projects of all kinds. Quick and easy to use, the pre-designed collage sheets are double-sided with full colour graphic imagery on one side and patterns on the other. This package contains twenty 170mm (6¾") x 97mm (3-7/8") double-sided pages in ten designs (two of each design).